For a while, making rule of thumb estimates would have seen a company go out of business sooner rather than later, due to tough international markets, however, nowadays the bar is being raised for measurement technology to unimaginable heights. 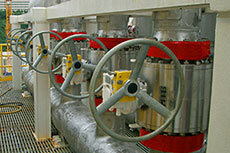 Valves can only be efficiently controlled and automated based on precise and significant data. For end users, the developments are worth hard cash, and for some companies, usable measurement data already forms the basis for the Internet of Things. Data is continuously being collected and exploited, and merged with even more data from the surrounding environment. “Measurement technology for valves is essential, in order to ensure safety and accuracy in processes,” emphasises Alexander Lell, a Development and Application Engineer at Rotech. Increasing requirements and demands for manufacturing, safety and process accuracy are becoming more important for measurement technology, and are having an impact. “Apart from the small crisis in the plant engineering sector, sales have definitely increased in the last few years,” reports Lell. Users and valve manufacturers “are meanwhile noticing the possibilities measurement technology has to offer, and the degree to which certain steps in the production process can be simplified, respectively speeded up,” underscores Lell. The trend is making itself felt across all industries, from the chemical industry to the energy sector, refineries, water and wastewater industry, as well as oil and gas. “Energy is the lifeblood of an industrial plant,” emphasises Emerson Process Management. It has the highest share of operating costs, next to cost of raw materials. In view of rising energy costs and stricter emission standards this will become more of a problem. Plant operation can be optimised using accurate measurement data. Waste is diminished, while at the same time efficiency is increased. This in turn reduces costs, lowers emissions and increases reliability. For example, the biomass power plant operated by Enomondo S.r.l., in Faenza, Italy. The company uses wireless measurement devices to control and monitor a complex fuel pretreatment, an optimisation process and a new boiler in the plant. Thanks to the devices, plant efficiency was increased by 5%. Data acquired through the measurement devices has also simplified predictive maintenance. The biomass power plant in Faenza, located at the Caviro distillery for wine and denatured alcohol, uses 140 000 tpy of waste products from the alcohol production process to create energy for 29 000 households in the region. 48 wireless measurement devices made by Emerson Process Management transmit their data over a wireless gateway to a digital automation system, where the crew on site receives deep insight into the process. 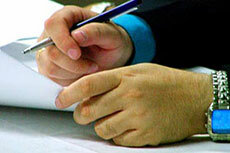 Adjustments can be made to increase efficiency. Thanks to the fitting measurement technology, Enomondo was able to optimise its process, improve plant efficiency and increase the electricity output. Measurement technology collects and delivers any data required – such as pressure levels, temperatures, density, concentration, flow rate and filling levels. Such data is gathered by, for instance, using radar, transducers, valve sensors and time delay relays. “A sturdy design and advanced digital signal processing (DSP) technology allows detection of low flow signals and minimises the effects of pipeline vibration and interference,” explains ABB. As such, this development significantly increases the amount of digital and electronic equipment in a plant. For end users, measurement technology needs to be easy to handle, making a user friendly graphical user interface a necessity. The display shows data such as mass and volume flow rate, percent maximum flow, and the flow rate as a bar graph. ABB’s “DensiMass software simplifies computations” and allows 247/ control of valves. All of this is required for the Premier oil platform on Great Britain’s continental shelf. Measurement technology makes it possible to control the platform 160 km off the west coast of Scotland from an onshore operation centre in Aberdeen. Such an operation centre is the vision of a remote controlled, efficient platform. A digital automation and a process safety system are used alongside measurement devices for pressure levels, temperatures, and flow rates, as well as radar level measurement. Sophisticated measurement technology is in demand as a basis for valve automation. 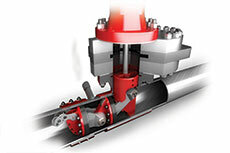 Experts have seen major growth in automation of valves, sliders and flap valves in the past years. Nowadays, one cannot do without automated flow control of media, gases, vapours and sludges. Manufacturers of measurement technology are set to profit from all of this.Demand for automation and measurement technology is especially large in growth markets such as China, Turkey, India and Brazil, where numerous new plants are being constructed. A further sector is also contributing its part: renewables are fuelling the market. A perfect automation based on precise data gathered by measurement technology enables highly accurate processes. Measuring a volume flow rate with an accuracy of 0,4% of the value and temperature measurement with a preciseness of =1°C optimises yield rates, and saves raw materials. Such savings are not only a boon for productivity, but also help protect the environment, as less resources are consumed and the threat of leaks is lowered. The level of risk exposure of workers is also minimised. Production environments exposed to explosion hazards do not need to be inspected by foot, a reliable diagnosis can be made from a distance. In turn, this also helps save on personnel costs. Samson here offers a prime example. 16 solenoid valves can be controlled using low power binary signals and 32 position feedback signals from limit switches. “The integrated function for logging status and diagnostic data makes it possible to integrate on/off valves without their own communication functions into the condition monitoring of a plant, allowing them to contribute to reliability and efficient maintenance, even in hazardous areas,” explains Samson. Automation and measurement technology are often combined with fieldbuses, which can be important for transferring data. Most of the time, fieldbuses are a standard component in complex machines and plants. “Especially in the day and age of Industry 4.0, industrial communication over fieldbus and industrial Ethernet has an important role,” explains German website ‘Feldbusse.de’. A main element in implementing Industry 4.0 is the continuous communication of all machines and plant components, as well as their seamless integration into overlying control systems. “In short: connecting the field level with the IT world”. Around 50 different fieldbuses and more than 20 different industrial Ethernet standards are currently available. There are fundamental technical differences in terms of available cable length, maximum amount of databytes per telegram, as well as feature set, explains ‘Feldbusse.de’. “All fieldbuses offer the same set of basic functions: fast cyclical transfer of input and output data”. Further functions such as diagnostics, acyclical transfer of demand data, alarm handling and cross traffic between individual bus devices “are not possible with each fieldbus system”. “Following the technological progress of field bus, the next development step in field communication is that of solutions involving radio technology,” explains Pepperl + Fuchs. From the company’s perspective it will take some time before things get wireless, due to a lack of trust in wireless technologies, and a lack of integrated systems. The cable represents the best available method for signal transfer for system critical data, adds Pepperl + Fuchs. Wireless data transfer can be used for a couple of applications – for instance monitoring manually used controls, such as ball valves. “Previously the status of such valves had been visually monitored by patrol checks carried out by employees,” explains the company. Wirelessly transmitting the position of the ball valve to the operation centre would make things easier. “Cyclic patrol checks and confirmation of the correct position of valves before plant start-up are no longer necessary”. This not only saves high personnel costs, but plants can start-up faster and produce longer. The same is the case for all other manually controlled values, such as pressure level and temperature.“At the moment things are developing towards wireless, intelligent technologies,” says Alexander Lell, a development and application engineer at Rotech. “We are trying to react to the market with matching solutions”. Here, there is yet a further trend for valve measurement technology. “For our measurement technology solutions, the market has developed towards creating more and more individual measurement solutions, instead of standard ones,” explains Lell. It certainly is not a bold statement to say that demand for individual solutions has become a trend in all industrialised countries, and a trend that will remain. Not only is this a trend for measurement technologies, but for nearly all machine and plant components. Innovations on valves will be presented at Valve World Expo Düsseldorf from 29 November until 1 December 2016 at Düsseldorf Fairgrounds. Double clock and bleed pipeline intervention enhances safety in Sardinian refinery. Trapped-key interlocks offer enhanced safety and efficiency for the most difficult process management challenges. Metso has won a significant contract to supply valve solutions to Saudi Aramco’s petroleum refining and petrochemical production complex.